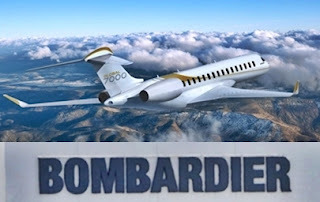 Canadian manufacturer Bombardier announced, the addition of 1,000 jobs in Montreal to build business jets, to meet rising demand for its new Global 7000 series. The Global 7000 will be the largest purpose-built business jet in the industry, with the longest range and speed, when it enters into service in the second half of 2018 - two years behind schedule. Chief executive Alain Bellemare said that the demand for business jets, after a weak decade, has turned around. Bombardier's new craftspeople, artisans and engineers will work over the next 18 months on the aircraft's interior, which boasts a kitchen and four distinct living spaces. The new positions come after the company slashed more than 15,000 jobs in its aerospace and rail divisions around the world since 2015. 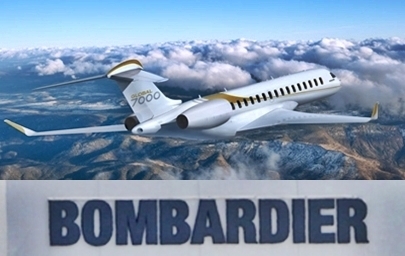 In February, Ottawa loaned Bombardier Can$372.5 million (US$291 million) to complete development of the Global 7000 and its CSeries passenger aircraft. Eight months later, Bombardier entered into a partnership with Airbus, giving the European manufacturer a majority stake in its marquee CSeries airliner program in exchange for Airbus's heft in marketing the new plane to potential clients. The move was also seen as a means of skirting US anti-dumping and countervailing duties on the CSeries, by moving part of its production to Airbus's facility in Mobile, Alabama. The CSeries is the first new design in the 100- to the 150-seat category in more than 25 years. The US Commerce Department recently imposed duties on the jetliner after US rival Boeing filed a trade complaint accusing Bombardier of having unfairly benefitted from state subsidies that allowed it to sell the aircraft at below cost to Delta Air Lines. The row has since exploded to involve the British government since the CSeries wings are assembled in Northern Ireland. The European Union has vowed retaliation against Boeing.